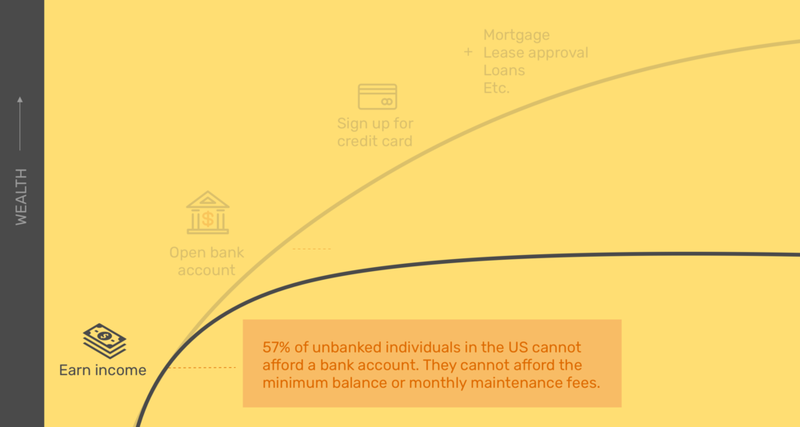 How might we build the financial capability of unbanked millennials? In 2017, roughly 17% of millennials in the U.S, were institution unbanked—they have neither a checking nor a savings accounts with a bank, credit union or savings & loan institution. The J.P. Morgan Chase Digital team approached us to design an application to service the needs of these unbanked millennials. Farro is a unique checking account that features smart bill payment and a built-in credit growth system to help users improve their financial capability over time. Our solution won the Top Solution Award amongst the 2017 class. Users can divide their checking funds between two buckets: a “Fixed Amount” and a “Free to Spend.” Users create their “Fixed Amount” by registering their monthly bills. This allows them to see progress towards paying bills vs. how much they can spend. 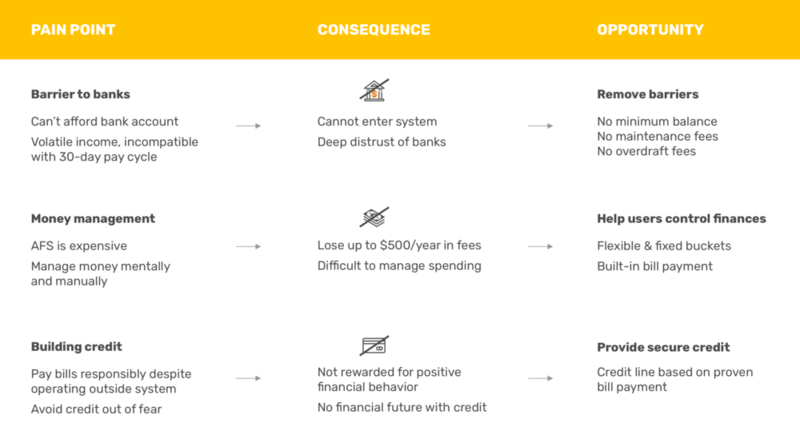 When a user deposits funds, money flows between their “Fixed Amount” and “Free to Spend” in a self-determined divided percentage. In addition, when you swipe your Farro card, it only uses “Free to Spend” funds to safeguard any money saved for expenses. During our research, we discovered that users were manually managing bills in cash. This can create a disjointed bill payment process that includes traveling to different locations, paying fees for checks, and unnecessary time spent. 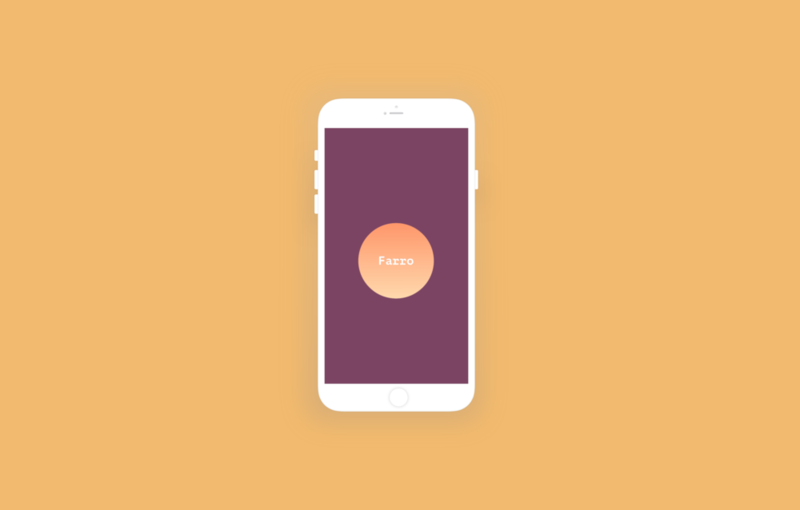 With Farro, users can connect bills like rent, utilities, or phone bills and pay directly inside the app — saving time, effort and money. Users who do not have bank accounts miss the opportunity to build their credit scores. In fact, our users actively avoid credit cards because of past or vicarious experiences of fees, debt and even fraud. 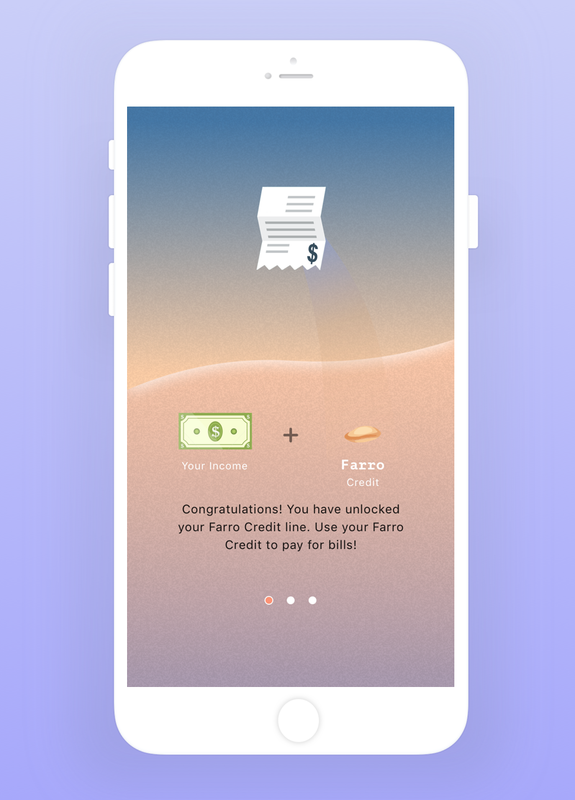 Once a user pays their registered bills on time and in full for 6 consecutive months, they are offered Farro credit limited to the total amount of their bills. This allows users to pay their Farro credit statement and build their credit score, without changing their financial responsibility or behavior. 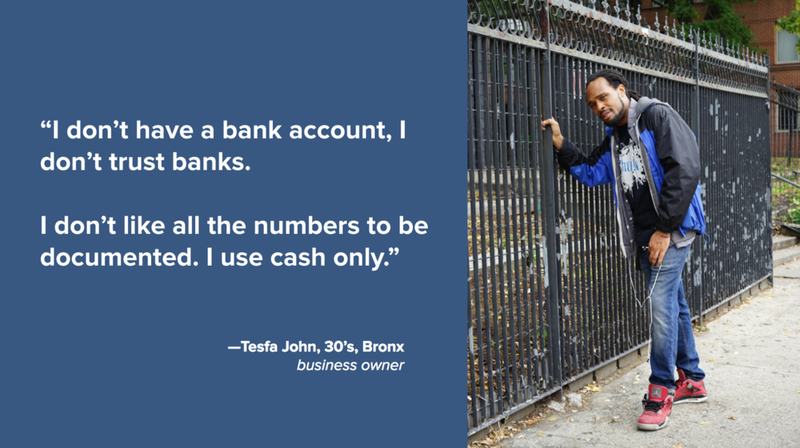 We conducted extensive desk research and conducted interviews with 8 unbanked millennials and 4 banked millennials in the Bronx and Bedford-Stuyvesant. All of these users were intercepted at check cashing services and pawn shops. We quickly clustered our findings by user attitudes, behaviors and situations. Although each user story was quite different (living with parents vs. being independent, supporting parents vs. running a business), there were several key overlaps that revealed why this user group avoided financial institutions. They all had experiences personally or with family members and friends, mismanaging their finances. Users exclusively used cash and prepaid cards because they provide transparent, literal cash flows. Most importantly, this made them feel they were in control. Users felt that banks are dishonest, selfish and set customers up to lose. Having a bank account was similar to losing their privacy and ownership. Users shared a general insecurity and fear around overspending or mismanaging their money. Our instincts told us there was something larger causing our user group’s universal distaste for financial institutions. Comparing Chase bank’s projected customer journey to user themes and behaviors, we recognized the gap between the bank's financial expectations of customers and where our users stand. Chase services are designed for someone with a consistent income in certain pay bracket. They expect the user to open a bank account, and meet a minimum monthly balance, pay maintenance fees and keep track of their balances. They make an average salary of $25-30,000 — often supporting family or partners. They live paycheck to paycheck. Their earnings go directly and fully towards expenses, not savings. Users prefer check cashing services and prepaid cards to store their earnings. They regularly visit check cashers to withdraw cash. They regularly pay fees to withdraw cash, use a prepaid card, and deposit and write checks. 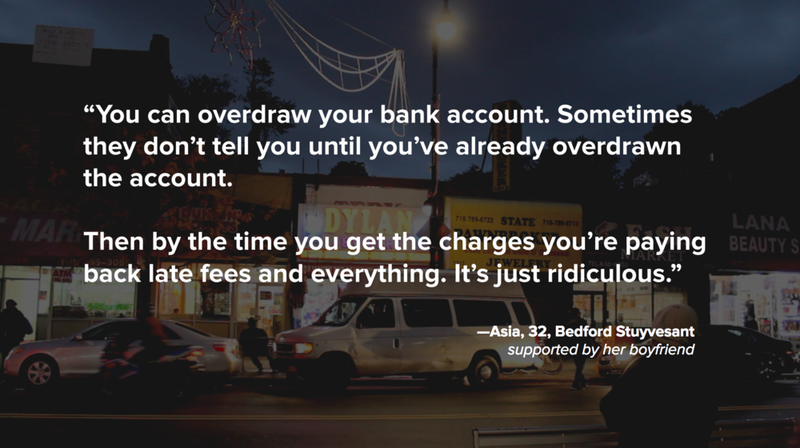 All of our users calculated their spending in their heads and exclusively used cash. While this money management system was taxing, there was one positive aspect: Our user group was extremely responsible about paying bills on time. Because our users are operating outside of the bank system, these behaviors were not being observed nor rewarded the way they deserved. Why not, capitalize on these good behaviors and turn them into stepping stones for growth and credit eligibility. How income flows from paycheck to between pocket money and bills. From our research, we discovered three clear issues our users faced and flipped them into core features that empower our users instead. The physical act of holding cash gave our users a sense of control. To them, numbers felt like abstractions. Our UI uses images of cash to communicate their balances. All of Farro’s core functionalities mirror the users’ core needs, meaning Farro has an immediate effect on their everyday lives. We empower users to control their credit and payment methods. New accounts opened, means more transactions and more revenue. By creating a more sustainable relationship, we increase retention rates and can graduate users into other bank products like an unsecured credit card. Gathering data on customer’s money management also helps us improve risk evaluation, and identify missing needs in our product strategy. What Did I Learn From This Project? This project taught me that financial inclusion can be good business. Not only should safe banking services be available to every citizen of the world, but the banking experience also has a long way to go in user-centric design. Right now, most banking applications are simply a way to store money and keep records. Looking for invisible users meant we took whichever user interviews we could get. This led to varied user histories and insights. Not all demographics prefer sleek, fancy UI. Design inherently communicates who we expect to use the product, and as designers we need to understand the products our users typically interact with.